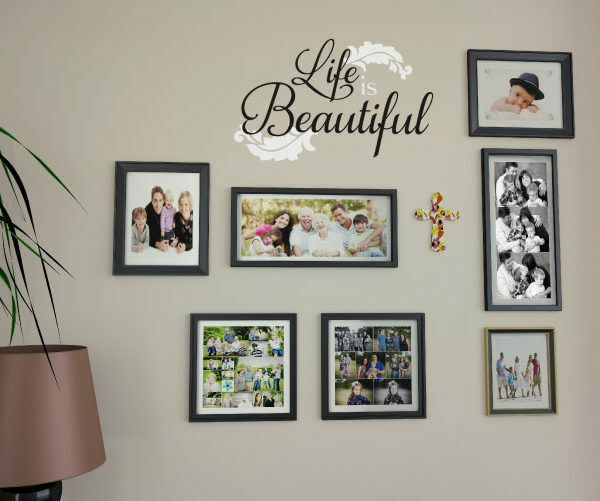 A family photo wall is a lovely space! Here we get to celebrate family ties. We have just the right wall words for this spot. Read on! 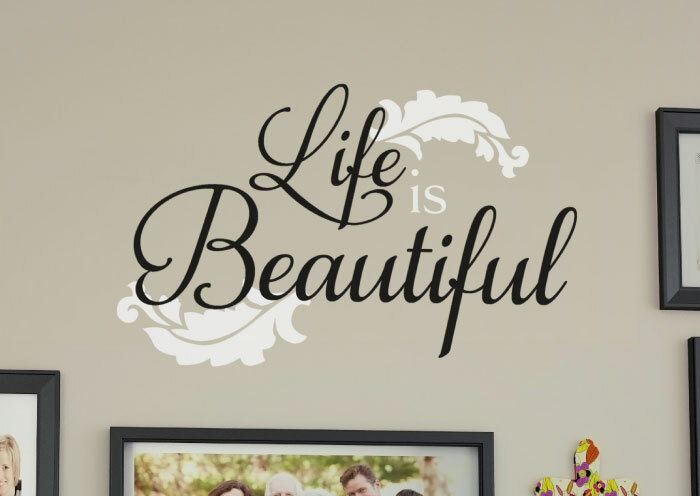 “Life is beautiful” wall letters are suitable decor words for a number of rooms in your home. In this case, they found a home above a series of framed family photographs. They look great! The underlying wall contrasts well with them making them visible. The preferred frames are in different lengths and widths creating an interesting visual effect. Our wall lettering art has an effect too and it looks amazing! 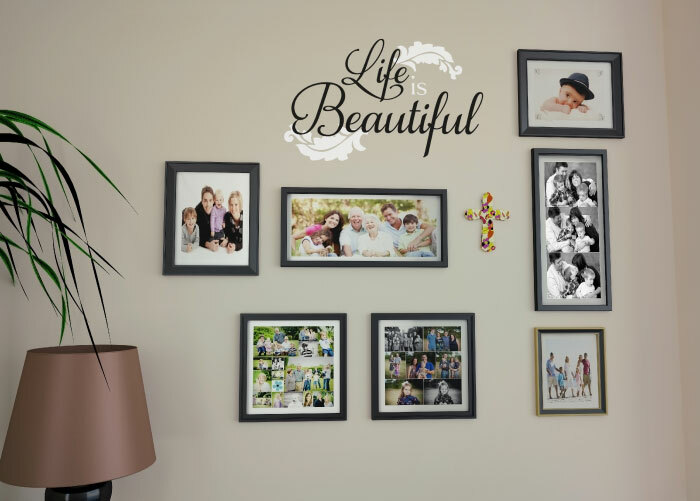 Your friends and family will enjoy the creative decor that captures special moments in their lives. Are you looking for a unique housewarming gift or perhaps a birthday gift? Try WiseDecor products: they are ideal. They will look great on the family wall. 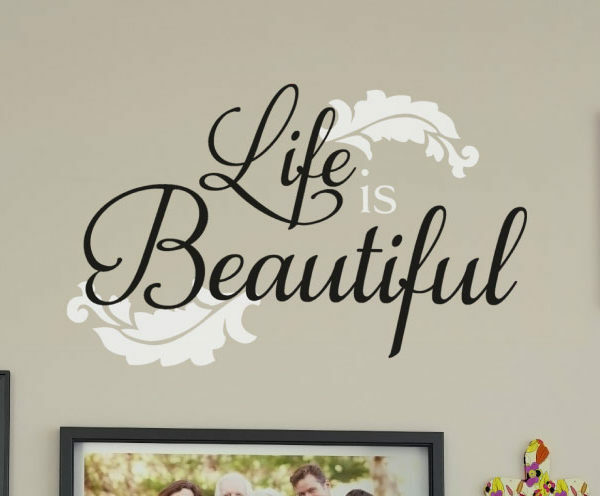 Made from resin, these wall quotes are durable and look painted on. They are also affordable. We have made them pocket friendly! 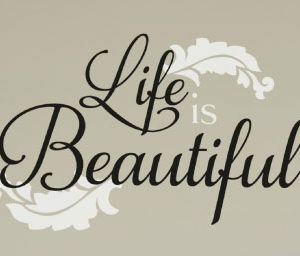 Have a look at our quote library and select this particular wall words and more. You may also submit your preferred quote. Our designers will work with either. You will receive quality products that you will enjoy for a long time! They are pre spaced making the application process easy! Simply peel the back sheet and paste the adhesive side of the lettering onto the wall. It is that simple! Do call or email. Let us help you decorate!